I've seen the long queues at Yoogane's Bugis Junction branch and I've always wondered what the fuss is all about. 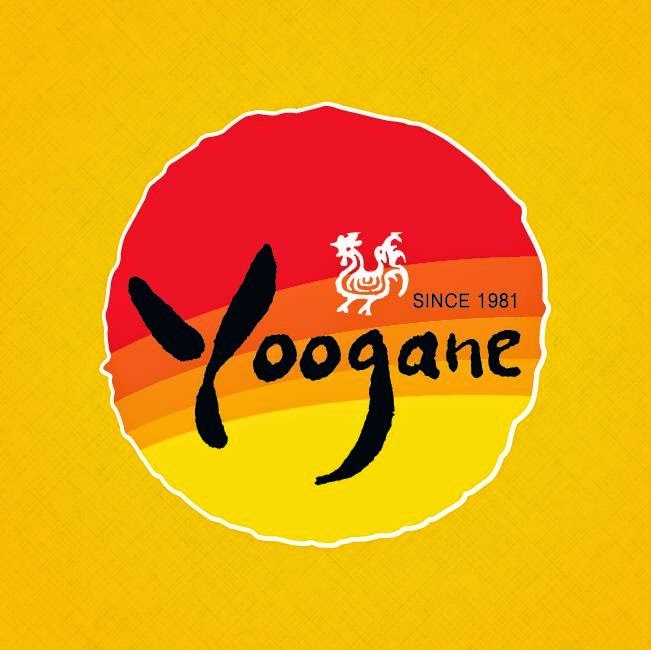 All I know is that Yoogane started in Busan, Korea, in 1981 and it specialises in Galbi - grilled meat that has been marinated in the typical ganjang sauce. Deciding to find out what the fuss is all about, my friend and I headed off to Yoogane for lunch to chase away our Monday blues. Straight off the bat, this meal was a bit of a tough decision because you can only order ONE type of grill and they charge you on a per pax basis. In other words, if you have a large group of diners with different tastebuds, you'll have to sit separately. We ordered their signature Chicken Galbi (S$16.90++ per person) and an extra serving of fried rice (S$3.90++). You can choose to add cheese (S$3.90++) or noodles (ranges from S$3.90++ to S$4.90++, depending on type) but we gave all of those a miss. Like most Korean restaurants, they provide a bottle of cold water and a box of tissue for you. Nonetheless, we both ordered hot tea (S$1.90++). No need to worry about veg in your diet because they have a free flow salad bar, which contains mainly shredded cabbage (they provide honey mustard as a dressing), kimchi, shredded bell peppers and pickled radish. So...the grill itself is HUGE and it is cooked right in the middle of the table! The Chicken Galbi consists of a generous serving of meat, lots of chopped up leek, 2 slices of potato, 4 rice cakes and quite a bit of sliced cabbage. Yup...you can count the number of slices of potato and rice cakes. If you like the Korean rice cake, you will have to top up your order (price ranges from S$3.90++ to S$5.90++ depending on type or S$6.90++ for the combination plate). There's nothing like the sound of sizzling meat and the smell of it as it gets cooked by one of the staff. Mind you...this does splatter, despite the high metal ring that they put around the pan while it cooks. As such, aprons are provided to you so that you get to keep your clothes pristine. Doesn't prevent you from smelling like grilled meat though. Also, if you try to stir fry it yourself, the staff will politely tell you not to do so in order to cook the meat quickly. I still don't see the logic in that, considering that I cook. Even if it smells good, does it taste good? First bite - this tastes a lot better than the stuff that's served in Seoul Yummy (another chain of Korean casual dining restaurants). Second bite - mm...I think the chicken is a bit overcooked. Third bite - whoa...I can feel the heat of the chilli! But it was still manageable. Fourth bite - I need to pair this with the plain shredded cabbage so that it's less jerlat. After a few more mouthfuls, I felt that there was simply way too much leek. I'm not the biggest fan of leeks but I really don't mind them thoroughly cooked. That said, this dish simply had TOO much leek. Also, there was only 1 flavour throughout the whole dish, which was the ganjang. In terms of portion, my friend and I felt that the amount served could've fed 3 pax and if so, we could've ordered another side dish just to have a little more variety. Also, it wasn't cheap considering that the total bill came to be about S$54. The worst part was actually the day after. Both of us spent a good 10-15 min in the toilet the next morning bombing spicy (yes, you can feel it) and orangey stool. Sorry...don't mean to be gross but...you get the idea. Thus, I'm afraid to go back to Yoogane. Maybe I will...only when I'm feeling a bit indulgent and I'll definitely avoid the chilli.